BACK ON THE MARKET ( due to buyers financial reasons). 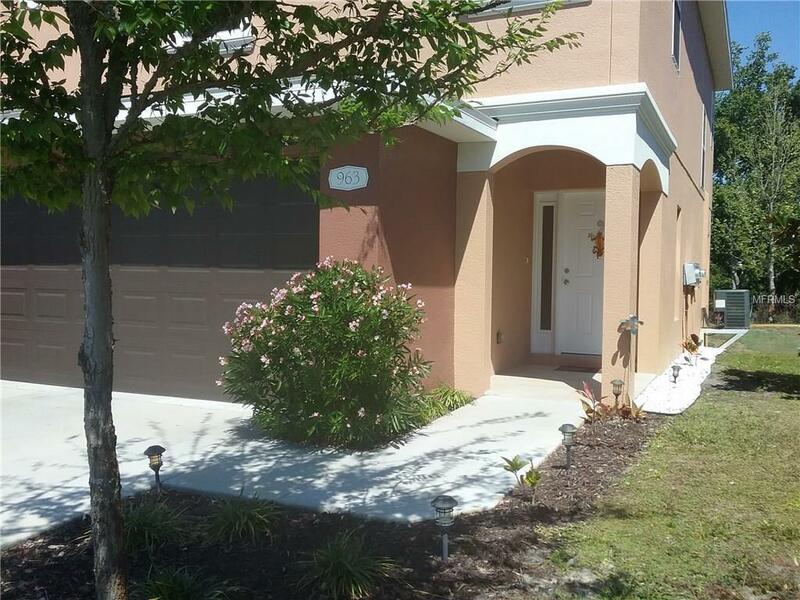 This is Your opportunity to own a Beautiful 3 bedroom, 2.5 bath END UNIT TOWNHOME that is loaded with Upgrades!! It features WOOD FLOORS downstairs, and a Beautiful kitchen with GRANITE COUNTERTOPS, GLASS TILE BACK SPLASH, 42 INCH WOOD CABINETS and STAINLESS STEEL APPLIANCES. Walk-in pantry room. There are sliding glass doors in the dining room that lead out to the extended back patio area. The living room features oversized windows. Beautiful window treatments on all windows and sliding doors ! This home has a 2 car attached garage and interior laundry room. Plenty of storage. This townhome needs nothing, move in ready. Bring your picky buyers it is turn key. It is just minutes away from the Tarpon Springs Sponge Docks!! & still in Pinellas County, The home is located in Evacuation Zone C, High and Dry.Don't miss out ! Listing provided courtesy of Realnet Brokerage.